SEO is the art of improving your rank in search engine results. Search Engine Optimization or SEO is the process of improving the visibility of a web page in a search engine’s “unpaid”, “natural”, “organic”, or “earned” results for national or international searches. 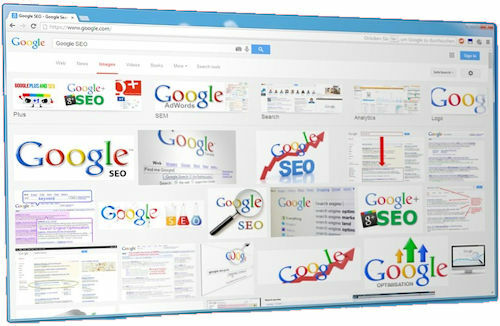 The higher the rank on the search results page, the more visitors the page will receive from the search engine’s users. SEO is different from local search engine optimization since it is focused on optimizing a business’ online presence when users are searching for local products or services. Every business is different. A one-size-fits-all SEO strategy likely is not going to work. What is the right mix of SEO tactics that will benefit your business? There are many, many Google SEO ranking factors for you to consider. Which are most important? Which should you spend the most time on? How do you avoid mistakes that Google will penalize you for? It is a lot to consider! Below are 10 on-page SEO techniques & off-page SEO techniques you can do that will help you get your site to consistently rank high on search engines. Need help? Click Here To Contact Us! Google Analytics gives you the digital analytics tools you need to analyze data from all touchpoints in one place, for a deeper understanding of the customer experience. You can then share the insights that matter with your whole organization. Click Here for setup help. Make the most of your free Google listing. Google My Business helps you show up when customers search for your business or businesses like yours on Google Search and Maps. Google My Business lets you post updates to showcase what’s new, respond to reviews to build loyalty and add photos to highlight what makes your business special. A XML sitemap speeds up search engine indexing and informs Google about any changes on your site. It is important that you create a XML sitemap then submit its URL to your Google Search Console. If you have a WordPress site, you can create the sitemap with the Yoast SEO Plugin. A HTML sitemap makes navigation of your site easier and enhances the user experience. As time marches on and more and more users use their smart phones to search the internet, Google will place a higher value on Responsive websites and will increase the Non-Responsive Website Penalty. You can use the Google mobile-friendly test to see if you website is mobile-friendly. It is important to optimize images since it helps in reducing bounce rate, improves your site’s page load speed, and generates more traffic from image-based search engines such as Google Image Search & others. If you are using WordPress, a plugins like TinyPNG will do a great job optimizing images. Search engine robots can not see images which means they can not index them. Adding an ALT tag to your images helps search engine robots read the text which is associated with those images. This helps with faster and more accurate indexing which will improve the accessibility of your site on search engines. Click Here for more information on using ALT tags for image optimization. It is a basic rule of business that you get what you pay for. Free and inexpensive hosting accounts save you money but page load times usually suffer. Google rewards faster page load times. Using a SSL Certificate is rewarded by Google with a higher page rank. Providing a secure service improves customer trust. While meta keywords are no longer an important ranking factor for Google, they are still important for search engines like Yahoo, Bing, etc. If you want to rank well on all search engines, then use meta keywords. Google loves new content (not duplicate content) and rewards you for it. Your site will gain visibility on the search engine, increase website traffic and improve conversions.